Are you an out-of-school youth, a jobless professional or someone who has a job but is discontented with the salary? Check out these blogging tips that will help you make money online and earn dollars by blogging. I was once a coterminous administrative officer of a public office. Like most government employees, my meager salary was just enough to address the family’s basic needs and cover the cost of education, transportation, utilities and many other miscellaneous expenses. I wanted a greener pasture, a better life, so I decided to put up a blog and started writing. Blogging became my additional source of income, a sideline home-based job that I enjoy and love doing. To cut the story short, I resigned from my government post last year and began putting all my efforts and concentration on a couple of blog sites. It was a tough decision but I had no regrets as the result of my undertakings is quite impressive. Now...based on my personal experience, I am pleased to share to you the Top 10 blogging tips to make money online and earn dollars without having to work abroad. Note: This post was written purposely for beginners. Tip No. 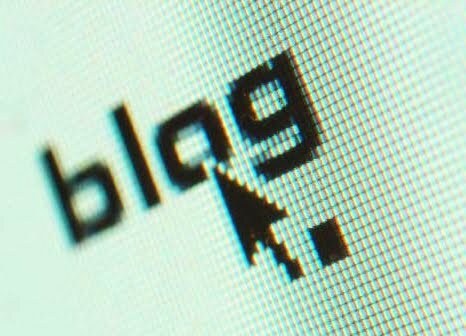 1 - Learn the basics of blogging. Do some research and read about blogging. Lots of references are available online. Start from here. Watch some videos about blogging. Blogger has a YouTube channel with videos that are informative and useful. Tip No. 2 - Create a blog that’s simple and fast. The most popular blogging platforms are Wordpress and Blogger. The latter is highly recommended for starters. Blogger is owned and developed by Google and thus, quality is assured. More importantly, it’s free and very easy to use. Register and create a blog. Just follow the instructions from Blogger. Now this is very important: choose a blog title that has a recall. In other words, your blog visitors must be able to remember it easily. Your URL or web address must be short and keyword-optimized. Meaning, the URL must contain the same words as your blog title or niche. A niche is a set of blog activities or stories suited to your target readers’ interests. Your site’s design must be simple and user-friendly. Choose from the wide range of templates available on Blogger. Use the color white for the background, black or dark gray for texts, and blue for links. To make your blog fast-loading, limit the usage of images, videos, and widgets. Tip No. 3 - Create a blog post that’s simple, informative and interesting. Do some research about your topic. Depending on your niche, choose the right keywords for your story. It is recommended that the blog post consists at least four paragraphs, and each paragraph must contain at least four sentences. Don’t rush. Make a draft which you can edit and improve prior to posting. Attach photos, original if possible. If you use pictures from the internet, make sure that the materials are not copyrighted. Give credit to whom credit is due. Tip No. 4 - Write at least 20 quality posts before monetizing your blog. You already know what quality means, right? Your sentences must be precise, accurate, well-constructed and free from grammatical errors. You don’t have to be Shakespeare. Internet users nowadays race with time and they tend to leave a website with long posts, specially if those posts contain words that are complicated or confusing. Be patient and consistent. Post at least twice daily and you’ll achieve the goal in less than two weeks. Tip No. 5 - Promote your blog before monetizing it. Social networking sites such as Twitter, Facebook, Google+ and Pinterest can drive traffic to your blog. It is important that you create profiles on these social networks to promote your blog and let the world know it exists. However, inviting members of your family, relatives, friends and neighbors to like or add the social page of your blog is not recommended. If they are driven to your site through it, they may accidentally or intentionally click ads on your blog, which is not allowed. The title of your social page must be the same or closely similar to the title of your blog as consistency and relevance are blogging essentials. If you followed the previous steps and are already able to get more web traffic, you’ll be eligible to monetize your blog without fear of getting rejected by Adsense. Tip No. 6 - Apply in the Adsense program. AdSense is a program run by Google to serve advertisements in its network of content providers such as blogs, allowing bloggers to make money online. It is the most reliable and greatest source of revenue for bloggers. Access this page to apply. Once approved, you will see the ads on your blog, giving you an opportunity to earn dollars. After reaching a specific threshold, Adsense will send your blogging income through your preferred mode of payment. You must not place Adsense ads just anywhere in your blog. There’s a blogging strategy that should be applied so that the ads can be seen by your readers immediately. Put the ads “above the fold”—that part of the site that’s visible without scrolling. According to many, larger Adsense ads such as those with the sizes of 728x90, 336x280, and 300x250 pixels, get more clicks than smaller ones specially when they are strategically placed. Also, make sure that Adsense text ads blend well with your blog’s design by setting the colors and style right. Tip No. 8 - Avoid posting about anything that violates Adsense terms and conditions and program policies. Posting anything related to or promoting illegal content (music downloads, live streaming of movies and videos of copyrighted shows and programs, etc.) is a no-no. There’s a lot of ad networks around, but none of those I’ve tested so far can beat Adsense. Believe me, having a suspended or banned Adsense account is heartbreaking. Tip No. 9 - Try other ad networks. There’s no harm in trying. If your blog is targeted to readers from the US or UK, apply for a Chitika and/or Infolinks account. If your blog is geo-targeted to local readers, go for Ambient or Nuffnang. All of them are compatible with Adsense and can increase your monthly income. They also pay well. Tip No. 10 - Arm yourself with knowledge in basic HTML, CSS and SEO. You can never be a full-fledged blogger unless you have a know-how on basic HTML and CSS coding as well as search engine optimization. There’s plenty of free tutorials and videos online, all you have to do is read, watch, learn and have them applied in your own blog. Remember that blogging is like education, it is a learning process. You get to discover something new and interesting everyday and, of course, making money online, earning dollars from blogging will encourage you to strive even harder.